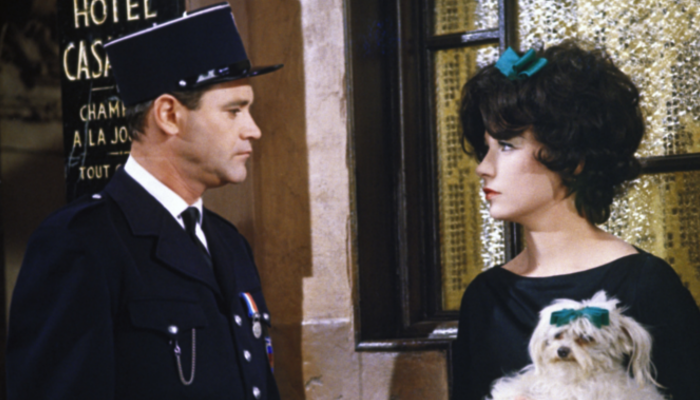 Eureka Entertainment has released a Blu-Ray edition of Billy Wilder’s 1963 romantic comedy Irma La Douce; starring Shirley MacLaine and Jack Lemmon. Adapted from the 1956 musical for the French theatre: does Irma La Douce make a successful transfer to the silver screen? Shirley MacLaine stars as Irma, a Parisian street walker, with Jack Lemmon as Nestor, her unlikely new Protector: the former honest policeman whose first encounter with Irma is when he raids the hotel where she conducts her business. But when Nestor falls completely in love with Irma and the two begin living together, his jealousy at her profession overcomes him and he begins posing as an English Lord in order to ensure that she only ever sees one client: himself! Aided by this film’s standout turn, Lou Jacobi as the cafe owner known simply as “Moustache”, Nestor gets himself into more and more trouble, not least with Irma herself, and comedic situations abound. As a viewing experience, Irma La Douce is one of those rare films where I couldn’t decide, as the end music faded down, whether I enjoyed it or not. Every time I thought I knew what was going to happen next, just getting comfortable and feeling that I was on the same page, it took another detour and went in a completely different and unexpected direction. It feels quite unpredictable, and at various points feels like scenes and situations are outstaying their welcome. Yet when viewed as a whole, those moments are entirely justified. The story and execution are almost surreal, and yet not quite; farcical, but not banana skin. The mood and style is almost comic-book, but not in a slapstick way. It’s more that the story keeps floating along, without us ever dipping too far below the surface, so that you begin to sympathize with the characters, and yet you never quite get close enough to them to make a proper connection. Perhaps, given the subject matter, this may have been the most comfortable arrangement for audiences in 1963. Perhaps that is even still the case today. When I put the disc in my Blu-ray player, I found a menu quite full with extra content, including the expected optional English subtitles, an exclusive new interview with film scholar Neil Sinyard, two full-length audio commentaries as well as the original theatrical trailer, which is in itself a work of art. The quality of the film visually is outstanding, the color vivid and engaging, though not uncomfortably intense. Overall, Irma La Douce and her friends did leave me feeling unsatisfied in some way, but despite this, I really enjoyed the film as a whole. What are your thoughts on this film? Please leave your comment below.